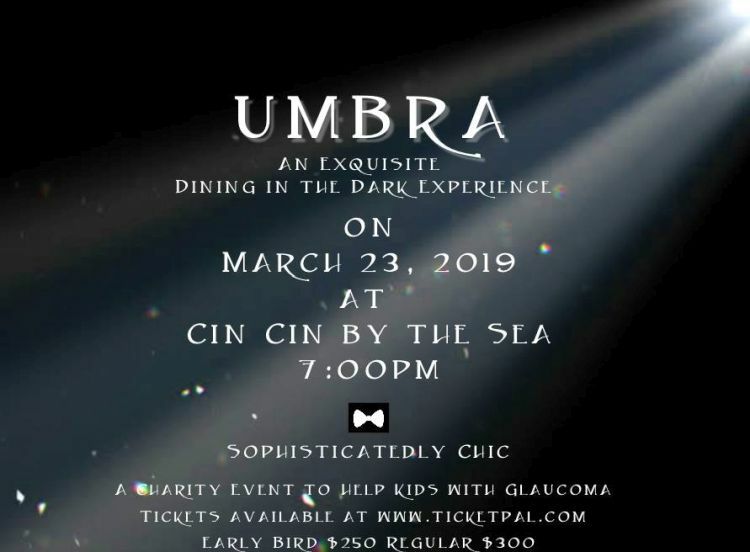 In commemoration of World Glaucoma Week, Barbados Glaucoma Week presents UMBRA: An Exquisite Dining in the Dark Experience. UMBRA will raise funds for a cyclodiode laser machine for the QEH to help children with Glaucoma. Silent auction of items donated by painter Maurice Forde, The Spa at Sandy Lane, Dockside 13/59 at Port Ferdinand, The Barbados Golf Club and Eye Focus Inc.
Tickets are available by contacting glaucomaweek@gmail.com or calling 826-1580.